Posted August 2, 2018 by Josette Farrell in News. We have a facility of huge potential for Galway City and County which is now lying idle. After many years of hard work it cost ca €3.3m to build and was ultimately completed in 1987. It was recently bought by the City/County Councils for €1.1m and is now termed by them as a site. We could never afford to put such a facility in place again and it would be an act of gross blindness and irresponsibility to let it disappear. It is so strategically placed near the city where city to city flights in general are rising in popularity and is exactly situated next to excellent roads leading to the north, south, east and west as well as being the gateway to Connemara. Yes, we have an excellent motorway to Dublin but it is to such as England, Scotland, Wales and France that an air service is needed. We are an island and the only way in or out is by sea or air. That must be recognised as we look to the future. We are told jet aircraft cannot land in Galway. Wrong! Over fifty of these 40 tonnes landed at Galway during 2015 for both business and tourist users. There is also the possibility for extending the present runway for larger machines in the long run. The Regional Planning Guidelines 2010-2022 recognises the strategic importance of both Ireland West AND Galway Airports and supports the development of both. The Galway City Development Plan 2011-2017 Recognised the value of Galway Airport to secure further investment in the area and stimulate growth and tourism, particularly as access with new roads increases. 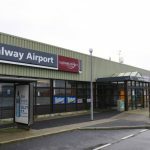 At the time when the Councils bought the property, any consultation for the future of Galway Airport was not opened up to the public but restricted to the usual official bodies who appear to be a law to themselves and it was done almost behind closed doors. Outside those bodies there is however genuine interest in its continued aviation use. It seems incredible that nowhere n the Council’s costly Feasibility Study does it mention any advantage of the fact that the entire airport is already in existence and is still capable of being used. The equipment may not be totally up to date but is still serviceable. The airport is not just a building site as reckoned by our Council managers which they got very cheap. To restart this airport we need to start simply with perhaps one airline and further semi-commercial use. There continues to be plenty of interest and it was very well run under that basis up until its closure. 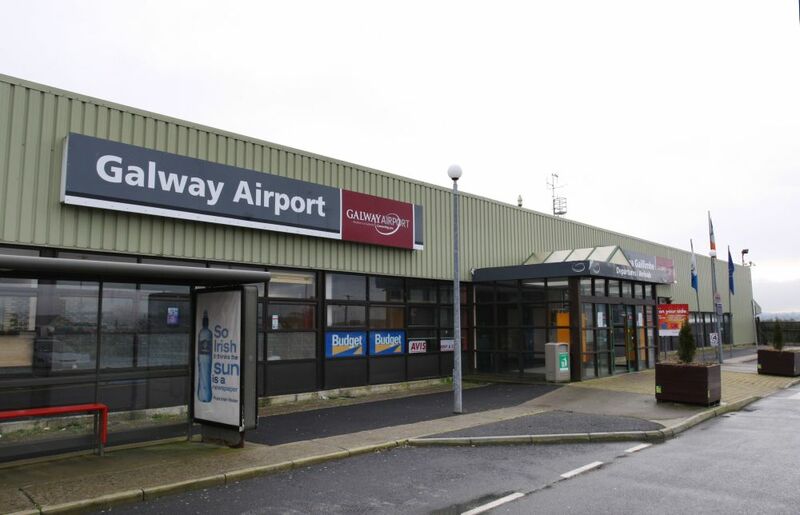 Brian Conneely of Ballinasloe, who owns Weston Airport, has sought to have his permission to operate Galway renewed but was turned down by the Council managers although he had already invested some €500k of his own equipment in this facility. Clare and Galway experienced visitor growth over all other western counties with 1,028,000m, a total of a 10 per cent increase. 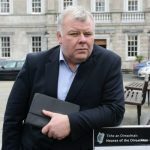 Galway City and County has a population of ca 339,000 with 6,555 commercial organisations with 16,815 enterprises which already provides Ireland West Airport with two thirds of its business, and that was certainly not built by the State but by a priest with vision and who cared for people. 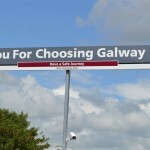 Galway is also the largest city in Connacht with the huge hinterland and asset of Connemara. 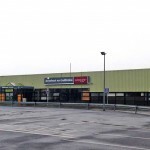 Visitors are increasing at a higher level than elsewhere in Ireland and there are a growing number of international industries such as Boston Scientific, Medtronics and possible Apple or others in Athenry, plus a large University, Technical College, a world famous Racecourse and a developing Port, but now no Airport! Galway will also be European City of Culture 2020. Yes, annual passenger numbers fell in 2009 to 195,000 but now the economy is improving again. Nevertheless at that time Galway Airport still carried 80,000 more passengers than Waterford but for which airport the State subsidy remained. This year (2018) we read that the number airline of passengers throughout the State has risen by an overall figure of six per cent. We need a bit of vision and forward thinking here, not the usual dead hand of negativism and can’t do attitude. It is now after all the property of the people of Galway and they should be listened to and served properly. Now the latest comment is that the local authorities will not make any decision until the Brexit situation is sorted. More procrastination and there will be another excuse after that. Galway City traffic continues to be a national disaster and appears to be acceptable since nothing is done to alleviate it other than probably engaging more and more costly consultants rather than making the most obvious changes to create freeways which should have been done in the first place rather than everything done on the cheap in the creation of multiple obstacle courses. It is not wrong to ask for a bit of help from a very positive, professional and talented public if the will is there. Rev Anthony Previte is a former Archdeacon of Tuam. He currently resides in Oughterard.